Geniatech APC810 is yet another single board computer based on NXP i.MX 8M processor. 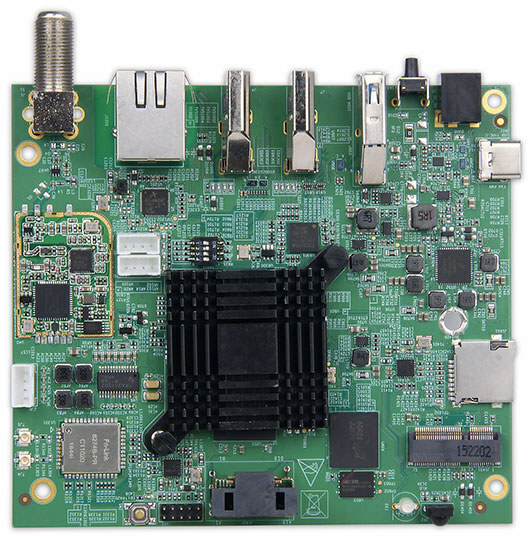 The board comes with 3GB RAM, 16GB flash, Gigabit Ethernet, 802.11ac WiFi, HDMI 2.0 output as well as common interfaces or features such as HDMI 1.4 input, and an optional ATSC tuner. 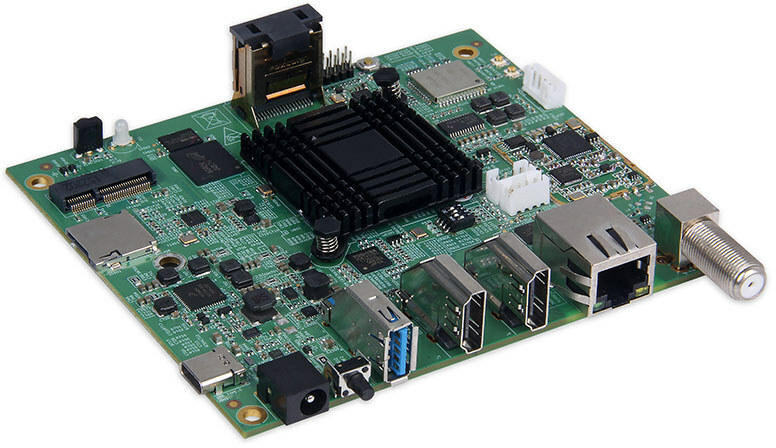 The company provides Android 9.0 and Linux support for the board.There’s no information about the HDMI input port capability, so it’s unclear whether it’s just a pass-through port, or it’s capable of more advanced features like video capture. The board was first announced in February 2019, but at the time I did not catch my attention. I came across it again today via a video on Notebook Italia shot at the Hong Kong Electronics Fair where other Geniatech SBCs were also on display. Geniatech APC810 price has not been made public, but you can request pricing if you intend to order in quantity by contacting the company through the product page. A DVB-C Tuner would have been a much better thing to have. Not so if your are a North American cord-cutter. Look — it’s a unicorn. Unless someone buys 10000 of these, this is the last time you’ll see it. I’m entering my 3rd year with a small, cheap ($89) Intel Z83 W10 box with Gb LAN and external ATSC tuner as my primary media device. It’s not perfect but only because Netflix won’t stream to it in 4K. I keep waiting for someone to produce an Android TV box that will give me everything I need. Wake me up if you see one in the wild. Frankly, I’m starting to think that the web site is about all they produce. Their core business is selling tens of thousands of boxes to a single customer. It is hard to get their attention of you aren’t a volume customer. Geniatech products are available on Amazon , from Geniatech MyGica official aliexpress store and MyGica . Look under where to buy. Also MyGica have official Canada and USA EBay stores. I live in South Korea. And I also want that small Google certified tv box with ATSC tuner come to real. It can really hit the US, S.Korea, Mexico and Canada market especially to code-cutters. But nobody do that and Geniatech atv599max can’t buy from anywhere on website.